Stylish and at the same time elegant in appeal, the decorative pom pom tassels that we design and manufacture are used as embellishment and for decoration purposes on various products like garments, home furnishings and more. 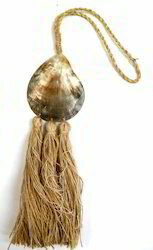 These decorative pom pom tassels are made from staple, cotton, jute etc. available in attractive colors and durable quality. 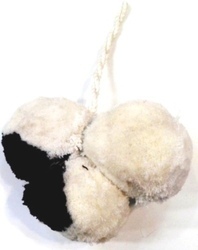 *Size:Pom Pom 4cms. & Loop 11cms. 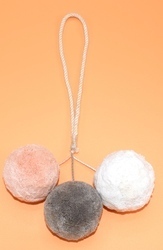 Used In Curtain,bags,cushions,craft Projects,home Furnishing And Any Where You Like To Use. We Can Make Any Size, Design, Colour As Per Customer's Requirements. Packaging Details: STANDARD PACKAGE SIZE AS PER CUSTROMER'S REQUEST. Used In Curtains, Cushions, Bags, Craft Projects, Home Textiles And Any Where You Like To Use. We Can Make Any Size, Colour, design As Per Your Requirements. Best Quality And Competitive Price. 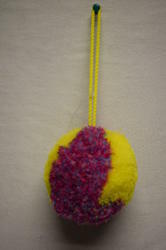 Size: Pom Pom 5.5 Cms & Loop 2Cms. 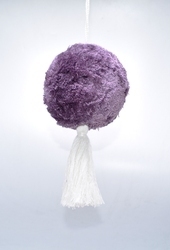 Pom Pom Tassel Used In Garments, Decorate Sofa's, Curtain, Craft & Many More. We Can Make Any Colour You Required. Packaging Details: 25 DAYS FOR M.O.Q STANDARD PACKAGE ACCORDING TO CUSTOMER'S REQUEST. 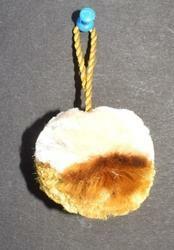 Size Pom Pom 3.5cms & Cord 4 Cms. Available In Any Colour & Size As Per Your Requirement. Used In Garments, Craft, Sofa's And Any Where You Like To Use. 1.) Different Colours And Styles Are Available. 3.) 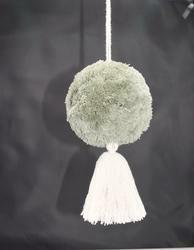 Beautiful Pom Pom Tassel For Garments, Home Furnishing, Curtain Etc. 1) Size: 5 Cms. & tassel 3cms. 3) Colour: grey And White. Pom Pom Tassel Mainly Used To Decorate Sofa's, Curtains, Cushions, Craft Projects, Garments, Wedding Ring Pillows And Many More. Packaging Details: APPROX 25 DAYS FOR M.O.Q STANDARD PACKAGE ACCORDING TO CUSTOMER'S REQUEST. size could be done as customers' request. We are one the leading manufacturer and supplier of tassel pom pom with the high-quality of material used as per the industry standards. *Table decoration & accessories type. *Any color and size we can make . 4)It is a nice napkin ring which is used in table top. We have wide range of napkin ring in different finishes & designs. 4)We can offer different colors according your demands. 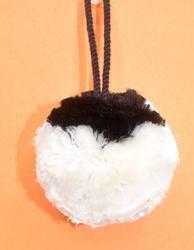 1)Size:3.2cms ,tassel 5cms ,loop 2"
5)Variant color, size and design. *designs, colors and patterns as per the specifications and drawings provided. Used In Cushions, Bag, Curtains, Craft Projects, Home Textiles And Any Where You Like To Use. We Can Make Any Design, Colour, Size As Per Your Requirements. 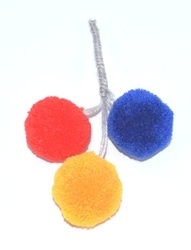 Pom Pom Tassel Used To Decorate Sofa's, Cushions, Craft, Garments Etc. Size Could Be Done As Per Customer' Request. *Size 3CMS , TASSEL 3.5CMS ,LOOP2"
4)The TASSEL POM POM is made up of excellent quality ACRYLIC that ensures high durability, lightweight and resistivity to adverse conditions. *Wooden Napkin Ring in varied sizes, designs, colors and patterns as per the specifications and drawings. 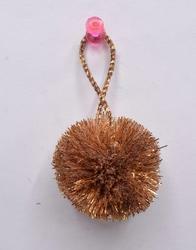 1)Size 2CMS.TASSEL 3.5CMS , LOOP:4"
Looking for Pom Pom Tassel ?